Check everything out in a wonderfully illustrated Wildlife Notebook. Protect the environment, earn souvenirs and awards! 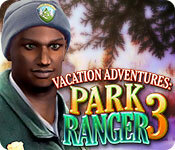 Vacation Adventures: Park Ranger 3 is rated 4.5 out of 5 by 53. Rated 5 out of 5 by droody from One of the best The Park Ranger series and Cruise Line series are one of the best games. I look forward to a new one every year. It's so nice to have a real HO game without the darkness and the skipping around from scene to scene. Will buy these every time! Rated 5 out of 5 by CrazyMooz from Love This Series Vacation Adventure. Love the Vacation Adventure series. Only have a couple left to get. Hope more is coming soon. I recommend these games. I play them over and over. One more thing that has nothing to do with this game. Can't you put a symbol of games that are just pure HOG. I find it so hard to find a game that does not have you run around all the place. I like the pure HOG. Could you think about adding some kind of sible for that. Thanks B. Rated 5 out of 5 by upsysydaisy from I Want To Be A Park Ranger! Really a permanent vacation!! I own and love all the Park Ranger games but this one not quite as much. My 2 dislikes with this one are 1) I hate snow, even in a game. I need color and that color-filled scenery, the sunny scenes - seems silly, I know, but the game isn't as appealing to me without these things. 2) Objects that were hidden in the snow were just outlines/transparent which made them so difficult (for me) to find. Very time consuming which led to just hitting the hint to be done with it. Gamers without 20/20 vision may have the same problem as I did.. However, I truly enjoyed the game and it seemed to have more mini games than the others and the games were a lot of fun. I found Park Ranger 3 to be more challenging than the others, too. I love all the detail and different activities the guests are enjoying. And the deeper into the park, the more beautiful it became. The little things going on in the background of each scene were really terrific. If you get caught up in the game, they are easy to overlook. So I always take time to see it all. One of the great features of this game is the use of real people. That makes it much more interesting IMO because the guests are all different and provide a realistic park adventure. I hope more Vacation Adventure games will be coming to us soon. Everyone can play, great family fun, very educational, I highly recommend! Rated 5 out of 5 by kittycat99 from Felt I was there! 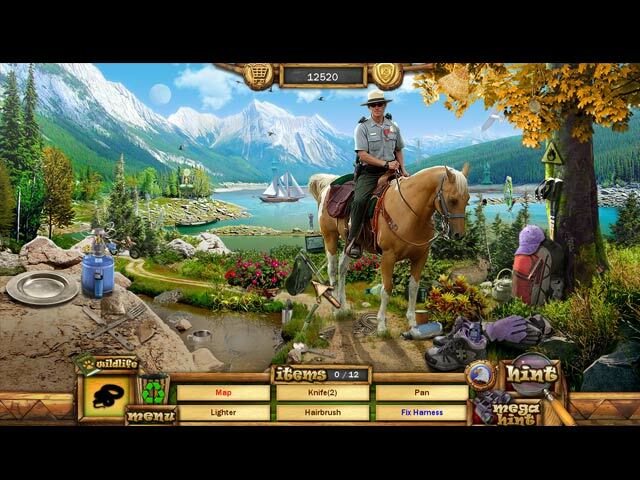 Park Ranger 3 was the first I've bought & played from this series & I LOVED it!!! Even though the people, animals, etc do not move, all the locations seemed very real, and I was really sorry when it ended. I'm going to get PR 4, then I may have to get 1 & 2!!! Such a great change from the sci fi type games that are becoming more common with so much darkness, goriness, unhuman characters etc. Rated 5 out of 5 by kerith90angel from HOURS & HOURS OF FUN! I love everything about this game! The graphics are great... the mini games are fun and I have always loved the good ol' HOS with plenty of words, some with more than one step. If you like this try Cruise Director 1 & 2. 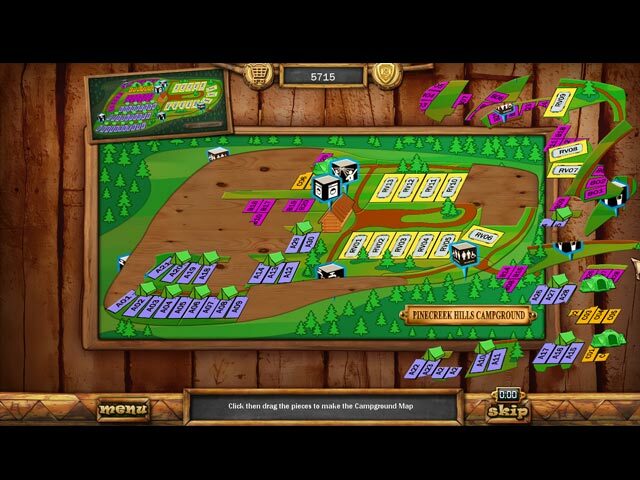 Rated 5 out of 5 by GOLDBUYER from Great Game Fun game and have played it many times. 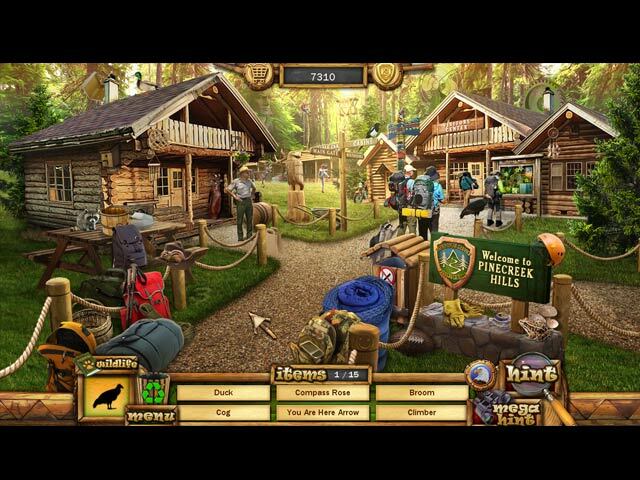 I do wish it was longer and they made more Hidden Objects games like this. Rated 5 out of 5 by Deborlola from Another great one! This was a recent acquisition for me, after enjoying Park Ranger 1 & 2. I found this game to be delightful, with awesome graphics, great music and some not so easy to find objects. I had a hard time walking away. What a fun time!